TAS 326: (Hot Seat) – My Product is Different Than Competitors – Why No Sales After Launch? Have you been waiting for Scott and Chris to get down to brass tacks and tackle a scenario like the one you are facing? Well look no further, it’s time for the Hot Seat! 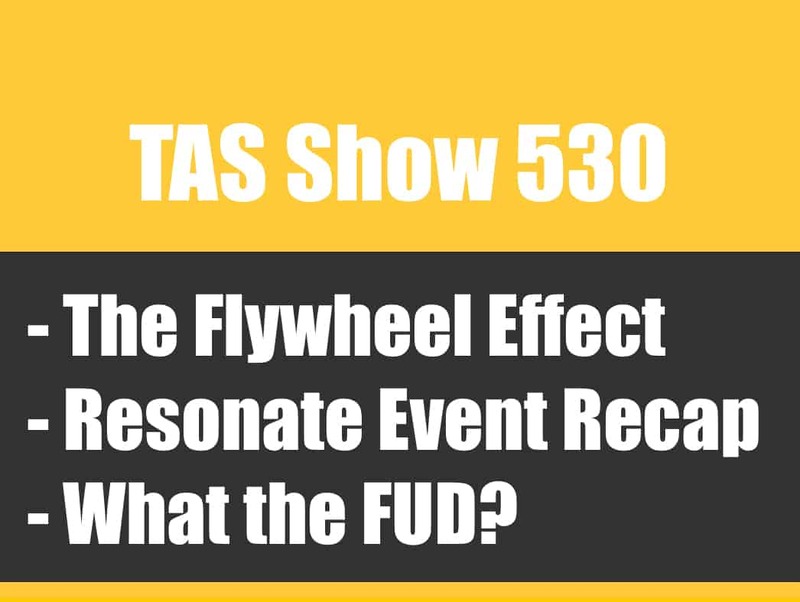 On this episode of The Amazing Seller, Scott and Chris will break down a question from a TAS follower like you. They will cover product variations, keyword optimization, how to move your product quickly to recoup your costs, and so much more! This episode might have just right the tips, insights, and lessons you need to up your game and take action. Don’t wait. Grab your pen and paper tune and into this content rich episode. The last thing you want is to spend money that you didn’t need to. A critical step in the product research phase is to make sure you aren’t adding options that your potential customers are not expecting. For example, some products don’t need color variations, at least not right away. Listen to this episode of The Amazing Seller as Chris and Scott discuss the reasons to be cautious about which variations you add at to your product listing. If you are just getting started, make sure that you catch this helpful episode! Sometimes the best solution for a problem you’ve been having is the simplest one. On this episode of The Amazing Seller, Chris gives some great advice on how to optimize the title of your Amazon product listing. Don’t forget that quick glances at your product and titles MAKE a huge impression. Consider restructuring your title if you aren’t getting the results you are looking for. Don’t include unnecessary words. An example is using the words silver or chrome when describing stainless steel, those colors automatically come to mind for the consumer. 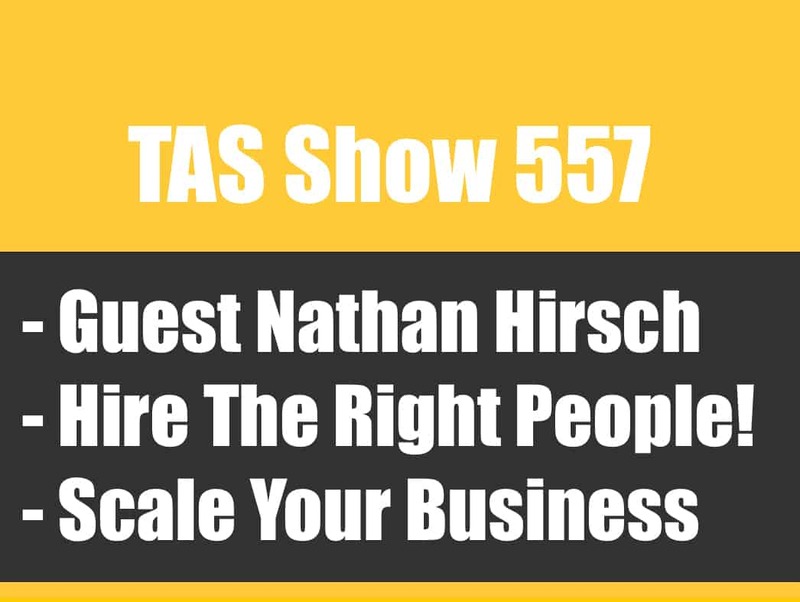 If you are wondering how you can optimize your title, make sure to listen to this episode! If you have some products that you’ve used in a testing phase or you just can’t seem to move them, what are your options? On this episode of The Amazing Seller, Scott gives some great tips on how to move product quickly and recoup some of your costs. Lower your price. See if that makes a difference. Lower the price for a few weeks. Go to a place like Snagshout or Slickdeals and list it there. Do a close out sale. Reach out to a blogger or Instagram page to see if they would do a contest with your product. 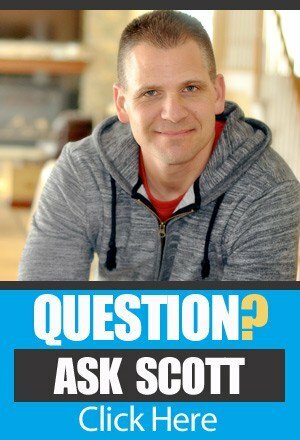 To get more great tips and insights from Scott, make sure to listen to this episode! An old maxim says that “Familiarity breeds complacency.” You’ve seen this truth play out in your own life. You get used to the weird sound your car makes and you don’t notice it until someone who never rides in your car gets in. Well, the same can be said of your Amazon product listing. You’ve spent so much time building it and crafting it to be “Just right” that you may have become blind to it limitations. On this episode of The Amazing Seller, Chris encourages sellers like to you to take a look at a competitor’s listing and pick it apart. Then he wants you to take that same critical eye and turn it on your listing to see what you might be missing. This simple step could help you spot that one thing that you’ve been missing. [3:10] The situation that’s on the hot seat today! [9:50] Caution for adding color variations. [15:30] Optimizing keywords in the listing’s title. [23:40] Scott and Chris break down the numbers for this product. [26:30] Some ideas on how to move your product quickly to recoup cost. [30:00] Chris talks about the best PPC (Pay Per Click) strategy. [36:00] Some parting advice from Chris. …and I have my good friend back on the show, Chris Schaffer. What’s up man, how are you doing? [00:00:18] Chris: Oh I am doing fantastic. It’s like 750 and sunny here in Houston this morning as of when we are recording this and I have to say I’m glad to be out of the snow. I’m loving being in warm weather in the middle of winter. I took a trip to do my yearly retreat with my company, we did some yearly planning with my other partners that you’ve heard us talk about a couple times in the past and they live up north in the snow. There was a foot of snow in the ground and as much as I like looking at it I don’t like it as much as I like having it being sunny outside. [00:00:50] Scott: Yeah I 100% agree and I’m starting to see some pictures from back home upstate New York and it was like thirty something there the other day which wasn’t too bad this time of the year but I had the top down in the car in the stang the other day on the way to lunch and it was like 710, me and my wife took a little cruise so that was nice, that was really nice. The sun is actually out here today too, which is actually pretty cool. But that’s now what we are here to talk about Chris. We want to talk about this hot seat that we are going to do. You and I both love doing these hot seats, we’ve done a couple of live events now where we do a bunch of hot seats in a day and we love doing this stuff. We have another one today. Again it comes down to why am I not getting any sales? I just launched my product, why? Can you take a look at it? I think I made a mistake on maybe like product selection. 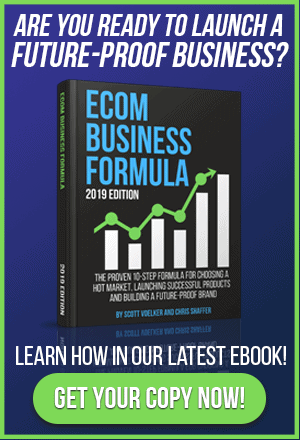 Can you go through and look and see the product that I chose and the market that I chose and can you let me know my pay-per-click why isn’t that working? Can you just give me some insight? That’s what we are going to do, we are going to break it down. You and I both taking a look at it briefly but I don’t like to really know too, too much before we go into this because I do want it to be raw and live where we can actually get in there and start digging and then brainstorming through the process. But we do have an idea of the direction we are going to go here and it really does come down to, Chris and I think you’ll agree with me it comes down to sometimes it may just be a couple of tweaks or messaging to that market or maybe images or maybe it’s keywords that you are targeting. This one here does seem like there is an issue and I think that we could probably turn it around but it also might be something that we might have to create a variation of a different style but we’ll talk about that. But with that all being said Chris, let’s give people the show notes before we do that, the transcripts. If you guys want to download this head over to theamazingseller.com/326 and also if you want to see one of the live events sizzle reels that we just released you can go over to theamazingseller.com/live. [00:02:55] Scott: That page will have some of our live footage from our events and when we do one coming up in the future which we haven’t planned yet but when we do you’ll be notified if you get on that early notification list. Definitely head over to there theamazingseller.com/live. Chris with all that being said, that was a mouthful that I just spewed out there. Let’s go ahead and dig in. I want to get into this hot seat. Do you want to get started as far as… Well let me get started. I’ll read the email and what we’ll do is we’ll dig in, we’ll look at that the screenshots and we’ll try to go through this together. The guy’s name is Rafael and he basically reached out and said, “Scott, love the podcast, I appreciate all the advice and everything. Your show has really, really helped me. I’m getting started and all that. But with that all being said I’ve launched my first product on Amazon right at the beginning of January 2017. Immediately I’ve created some discount coupon codes, gave them away”, and I’m not going to mention that he gave it away to but it’s one that we all know of. Highlight that guys, stick with that for just one second to remember the world color and we’ll come back to that. “As the product I am selling is made of stainless steel, nevertheless I personally believe that the color makes the product much nicer. The process of changing the color itself also added more to my unit cost than I would like or that I would have liked but I thought that because of this I may be able to sell the product for more. A week ago I lowered the price from initially $29.99 to currently $26.97. [00:04:53] Scott: The unit cost me around $12. Adding in about $10 FBA fees I really don’t have that much of a margin left. At this point I would be happy to sell the product at cost or even with a slight loss as long as I can sell at all. Just to illustrate my point for the three main campaigns of pay-per-click that is I ran since January 8th, 2017. I received eighty six thousand impressions for these three campaigns and I’ve gotten 139 clicks but not one single sale.” Chris with all that let’s go ahead and dig in. What do you think? [00:05:31] Chris: The first thing that stuck out to me there is he is saying $10 in FBA fees. Does that sound high to you for this product Scott? [00:05:38] Scott: That really does depend because I have noticed depending on what category it’s being sold in and you are selling it for $29.99 it’s probably maybe a touch high but in maybe home and kitchen or something I’ve noticed that the fees are a little bit higher in that category for some reason. [00:05:56] Chris: You commission to Amazon is going to be a little bit higher than some other categories because it’s higher volumes category but Rafael just double-check that make sure that it was checked incorrectly… checked into Amazon correctly and not checked incorrectly. I guess if they checked it in incorrectly is what I’m trying to say because I’ve noticed that happening more and more Scott where products accidentally get marked as oversized even if they not. This one is definitely not. [00:06:23] Scott: That’s happened to me actually before and I had to reach out. [00:06:27] Chris: And if you fees are higher… I would think for this it should be maybe $6 to $7. $10 does sound a little bit high to me but again we’ll know once he starts selling after he implements some of the stuff that we’ll talk about. For those of you out there who have FBA fees that are higher than that just double-check the size and weight of your product. This product is definitely not oversized and Amazon will occasionally when they are checking it in they might fat finger eight inches to eighteen inches which would then make it oversized. Going into this Scott let’s take a look just at the overall sales for the main keyword for this product. Do you see the depth and demand in this market? [00:07:06] Scott: Well that’s what you and I were talking a little bit about before. It is a little heavy on top and what we mean by that is the first I would say probably maybe four are taken a lot of, actually it’s the fifth but the one in the third spot is selling only 270. The other ones are selling over 1200 but then after that it drops off the shelf and it goes right to about 390 to 314, 149, 217, 180, 241 so it definitely gets really light as we get past that fifth listing. [00:07:47] Chris: I would agree with that as well. There is some depth in this market but this is stereotypical of what you and I call a top heavy market. What we want to see is we want to see a little more even distribution just from a nit picky depth of market standpoint. It’s great to have the top seller selling a couple of thousand but we, we don’t want it to fall off that cliff. I’d like to see a little but more of a gradual decrease as we move down the page. Let’s just say the top guy is selling a thousand, I want to see the next guy selling maybe 900, then 800, then 700. Does that make sense Scott? [00:08:20] Chris: Because that way I know that if I get to the second, the top of the second page that I’m still going to be selling 200. Even if I’m not selling my ten a day I’m selling 200 a month which is close enough for me. I’d rather get to that ten a day and then I can figure out if it’s worth it for me to try to push it to the first page by doing a blast to my own list, by increasing PPC, whatever that is. But then at least I know I’m going to start having a steady thing of sales and what we see here is that after you get past those first five it rapidly starts to decrease so if we are on the second page we may only sell one or two a day and we still have to get to the second page to be able to do that. That being said Scott let’s drill into his listing a little bit here and see if there’s anything we can do to improve that. [00:09:04] Scott: Yeah absolutely and again like you said Chris it does come down to your depth and your demand and we talked about this. If you guys have not listened to episode 189 that’s really where I go through that whole depth and demand and then even you are looking at your history and then being able to see, is there depth number one, the different listings that you are looking at on the surface have they been selling for more than three months? Those different things, is it a trendy product? Is it a seasonal product? Those are the things you want to look at before you actually pull the trigger because that way there we can see if these numbers are in fact accurate. Let’s dig in here Chris. First off I just want to highlight a couple of things that Rafael said. First off he said he wanted to change the color which also added to the cost for this unit which then forces him to have to sell it for more. I understand what he’s saying because he wants to create like a premium product and he thinks, the key word there was thinks, that it will sell better. The difference here is if you know that it will sell better because that you either read reviews that people say, “I really wish it came in bronze, I really wish that it came at a certain color.” If that was the case then yes, then we can go ahead and say, “I’m going to make it bronze because everyone is saying that they wish that the silver one came in bronze.” I wish that that would happen. If that doesn’t happen, if that’s not there then you are just guessing. You are just inventing, again I’ve talked about that before too Chris. It’s like people want to invent the next new thing and I get it and that’s cool and it’s fun but you are also taking a chance that no one’s going to want it. You have to look and see what the market wants and then deliver it to them. In this case if you read reviews that they said that they wanted it in a certain color then yes you can create that color but I’m not sure that that’s what happened here Chris. [00:11:03] Chris: No and there is one competitor it looks like that is selling this color variation like Rafael is but they’re not one of the top sellers from what I can tell. Is that the same thing that you saw with that Scott? The top sellers are all selling that same kind of main color and then there is a couple of people now Rafael include that are selling this other color variation which may or not be a good thing but it doesn’t look like there’s depth or demand for that specific variation. This is something a lot of times that you and I get asked about when people say, “Well if there’s multiple color variations which one do I launch?” And my answer to that is the one with the demand, the one with the most demand. So if you guys are looking at products with color variations let’s just say t-shirts, there’s black t-shirts, grey t-shirts and blue t-shirts and ninety percent of people are buying black then why would you launch all three at the same time? Launch the black and then figure out if you want to sell the blue and the green based on the demand that they have and how much it will cost you to have your manufacturer throw in a couple blue with the next order or a couple of green with the next order. There are always things that we can look to improve. In this case I don’t know that the color improves the product and because we don’t know that there is demand there I personally probably would not have made that change. [00:12:21] Scott: I agree, I agree with that 100% and again what I do want to say here though is just because this is the case right now this does not mean that you cannot sell this product and people will not buy it. There is one competitor right now that is selling this almost identical thing and what are they selling per month because I think it was 250 or 300 a month, something like that. [00:12:43] Chris: It was just under ten, it was eighteen hundred I think. [00:12:46] Scott: Eight to nine a day. Here is the deal though, maybe they are filling for that. They are filling the demand for that style so now you may be able to get half of that if you are lucky, if you can rank near them. That is definitely something that you are going to have to consider. With that all being said we can say, well the one color that is selling really well and that’s is the one that shows up on the page, think about this for a second. If you are searching for something and especially in a certain color and if you are scrolling through and you don’t see the color you are looking for then you are probably going to skip by that one listing. I think that’s a huge part of the issue of you not getting any clicks and especially with pay-per-click because if you are doing pay-per-click and I’m looking at the title of this in the title it doesn’t really tell me that’s a certain color especially in the main part of the title, the front part of the title. It just tells me that’s it’s let’s say stainless steel. So stainless steel I think of silver, I think of it being a color. When I’m looking for a stainless steel refrigerator I’m not going to get a bronze, I’m going to get stainless steel refrigerator that’s what I’m looking for. I’m going to skip right by the other ones. When you are doing that you have to understand that if yours is going to be a certain color, your certain color should probably be in the front somewhere because that way when I’m searching for it and if someone is searching for this certain color you are going to basically call out to them immediately and then it’s going to trigger them to want to click in because that’s what they are looking for. I think that this has a lot to do with why A, people aren’t clicking in but also your pay-per-click is not running because you are running you’re running your pay-per-click not really specifically to this color but you are doing it for the overall thing. Does that make sense Chris? [00:14:36] Chris: Right and I think I understand why he is confused here because the material it’s made out of is like what you said. It’s like stainless steel so that makes sense. If the material is that, maybe you do want to have that in your title. But, to what you said Scott, if I’m looking for a stainless steel refrigerator I’m looking for like a silver looking refrigerator. I don’t want black, I don’t want pink, I don’t want bronze I want silver because that’s just what everybody thinks of when they think of stainless steel. In this case we don’t even have the color in the title anywhere so it doesn’t make sense to me as a consumer if I see it in PPC or even in the organic listings. I have no idea why that’s there and everybody else is going to show up for that search term if you show up is going to be the silver so why would I click on you if I’m using that as a search term? What my suggestion would be here and let’s just talk about the title for a minute, first of all Rafael the main keyword is in the middle of the title. That is in my opinion. What the item actually is is in the middle of your title currently. What I would probably do, and Scott if you feel differently on this let me know is I would do the color that it is then the main keyword so ‘Pink garlic press made from’ the material and the material then whatever other keywords that you can fit in there. That still makes sense and then he’s got a little bundle going which is nice. The bundle is a really cool thing that you are doing by the way Rafael. I think it makes a lot of sense but if you do that restructure of the title then as a consumer first of all exactly what it is and I can make a more informed decision because you are not telling me in my mind that it should be silver when its actually not, when it’s black or pink or bronze or whatever. Then I know immediately it’s that color for a reason. It’s a different product and then I might choose to click on it but then at least I know. [00:16:36] Chris: The other thing that you are doing by relocating that main keyword to the front is theoretically you are also giving that more weight because the things on the front generally seem to have more weight within the Amazon algorithm which makes sense because that’s what people are looking for when they type it in. You are going to show up for more generic searches rather than the searches for the material that your product is made of. You want to show up for the generic searches, that’s obviously the goal. Now upfront we tend to rank for those longer tail searches, ‘the stainless steel garlic press’ but the real goal is eventually to show up for garlic press because that’s what most people are typing in. If we can shift that title around a little bit we are not going to lose that longer tail. We are also just going to pick up some of what’s called the fat head, that main search. Does that make sense Scott? [00:17:25] Scott: Yeah, totally. Totally. Now let me talk a little bit about the bullets. Now, people aren’t even going to see the bullets if we don’t get them to click in so rule number one is we have to think about number one, we are saying we are not getting any sales. Again I want to go back to the pay-per-click for a second. You are getting a good portion of clicks but no one’s buying. Then that tells me then people aren’t really interested in that particular item in that color maybe or maybe the price, who knows? But you did get people to click in even though it was that color so that’s okay. But again you have zero reviews in this product and I think a lot of your competitors have over a couple of 100. Some of them have less but most have a couple of hundred and more so that’s going to be another little bit of challenge. Let’s just say that people do get into your listing, the benefits aren’t there for me other than it’s telling me the features in a sense and it’s also telling me like it’s approved by the FDA. That’s cool and all but I don’t really care about that in the front. You are selling me the thing that I want to enjoy something. You’ve got to bring me there, bring me why this is going to make me enjoy this thing. Start thinking about like read those reviews from other people’s listings of what they are saying they really loved about the product and how they’ve enjoyed it and now put those in for your benefits at the top and then you can talk about all that geeky stuff that people care about like it’s made with aircraft material, steel or something. That’s cool and all for the guy that cares about that or the woman that’s cares about that stuff but most people don’t. They care about the experience, what’s it going to do, how is it going to make it easier for them to do this certain task? Those are the things you need to put in there because that’s why I’m buying it. [00:19:26] Scott: You are going to be able to figure that stuff out by just looking at the reviews that other people are posting actually both ways, good and bad and we definitely want to know both those. If you did the research in the beginning by looking at reviews you would also maybe see that maybe no one was talking about this color so then you wouldn’t have done this so then we can say we don’t have to do that. It’s all done now, you’ve already done it. You have it so it doesn’t we have to just scrap it. What it does mean is if you wanted to pivot and if you wanted to offer that other color well now you can get people into that listing on the front color, they are going to maybe buy that but then they also have the option to buy color number two if they want to as the second choice. You can still have the listing, you can still build upon that listing. Does that make sense Chris? [00:20:13] Chris: It does and Scott on the bullets this is something that I constantly see people struggling with and we talk about using benefits not features. You don’t want to say it is made of this. No one cares, you told them that in the title, they can see… Let’s just say it is that stainless steel they know that’s it’s silver, it looks like stainless steel, they believe you. But why do they care, why is that better than making it out of aluminum? What is the benefit of using that? I think the thing that’s confusing is sometimes features are benefits, features can be benefits like ‘an easy to clean garlic press’. The feature is that it’s easy to clean but the benefit is that it’s easy to clean so that it saves you time so that you are not standing over the kitchen sink trying to clean after garlic press for hours on end like you were before. The thing that makes it easy to clean might be the ejectable extruder. That’s the thing that when you press the garlic press down actually pulls the garlic out. That’s the feature. The benefit is that it’s easy to clean and saves you time and so people get confused there and I think Rafael is going through that same thing where he is saying, “Here is the feature and here’s is why you care about it but it’s not worded that way,” if that makes sense. What he should be doing is saying here’s the benefit. Why does this thing that’s included with the product or a part of the product so why does the color or the finish in this case make it better than the other thing? If you can get somebody in there then they understand that immediately and they are experiencing it. We talked about this, I believe it was in the Katie Kay Hot Seat with the images. It’s the same thing. You are trying to paint a picture and you can do that with images but you also need to do that with your bullets because people can’t actually hold and feel and actually see what this is they are buying online. You have to paint a picture of what it’s like to use it and how it’s going to improve their lives rather than it’s made of this, this and this and it does this. No one cares about that. They want to know how it’s going to make their life or their experience better. It’s about creating that experience in their mind and then they are going to be much more likely to buy it. [00:22:24] Scott: Yeah I agree 100% like you said if you are going to mention it’s a certain type of steel mention why that’s important and why it matters. I mean a perfect example also is like if yours is dishwasher safe and your competitors aren’t, say it’s dishwasher safe and why that’s important because if you put something in the dishwasher and it’s not it’s going to peel or crack or not work the same. That’s why it’s a good thing. You have to definitely have that clarification there but again I always go back to the experience like why we are buying that thing. Maybe you are buying that thing because you’ve had problems with one in the past and you struggled with all these things and yours is the answer to those problems. Maybe that’s it or maybe it’s just to enjoy that experience but you have to figure that out and again by looking through reviews you are going to hear people say, “Oh I love my new garlic press because I used to have one and it clogged all the time and this one here with the special extra large holes it doesn’t clog and it’s so easy to clean. This is awesome.” You are going to see that, you are going to hear it and you are going to be able to use that in your copy and all that stuff. Like I said I think that the depth is shallow for this entire market for these things but it doesn’t mean that you still can’t get in there. I did go back though Chris. I want to go back a little bit, I did go to FBA calculator. I just wanted to go there and see exactly for his listing what they are saying that the fees would be and I’m coming up with $7.56 if he’s selling for $29.97 and that’s even with your selling on Amazon fees which they break it down at your referral fee which is $4.50 and then you have it looks like the monthly storage is $0.04, order handling is $1, pick and pack is $1.60 so basically you are talking $7.56. If the product cost you $12 well then you know that you’ve got about nineteen, almost twenty bucks in there so if you sell it for $30 you are going to make just about ten. Now let’s look at those numbers real quick Chris. What is the average price that we are looking at here? I guess that would be the next thing. [00:24:41] Scott: Okay. So we’re looking on this entire page but some of these might be skewing it a little bit too Chris. I’m looking at something here for $6.79 and that’s going into that mix that one here is going to bring it way down so I don’t think that’s the same. Again for anyone listening, when you are doing the average for the price make sure you are doing your exact product. For an example if you are selling a vacuum cleaner filter and you have a vacuum cleaner show up there and it’s a hundred dollars but your filters are $29, that $100 is going to bring up the amount that you think you are going to be able to charge. Make sure that you are doing that and I see in here there is a couple of products that aren’t 100% the same thing and that could be bringing it down. You could easily remove that when you are using Jungle Scout. [00:25:24] Chris: Yeah and I think just taking a quick look at this, it’s a mixed bag of the exact product that he is selling and the exact product plus an accessory and it looks like the exact product that he is selling the other couple of six but instead like $13 to $17 range and his competitor that’s selling the exact product that he is is at $19. [00:25:45] Scott: Right so again you are looking at that stuff and you are like, “Boy if only sell this for $20 then where am I at?” Actually I’m going to do that on the fly here, I’m going to punch that number in and I’m going to see. Basically even if we sell it for 19.97 our cost from Amazon or FBA fees are still going to be $6.06 so we have basically $19 in change is our cost, our hard cost. I personally think you probably paid a little too much for the product itself because if you are buying everything and getting it landed for twelve bucks you pretty much are going to want to get at least thirty bucks for that. I would like to see that cost go down. That doesn’t mean that I would go out buy five thousand units to get my cost down to $9 but I would definitely be looking at that especially for my next product. The other thing to do here, now some people have said, “Scott what if I just want to use this as a learning experience. I only ordered two hundred units, I want to unload these things.” First thing I would do is just lower my price. That’s the very first thing I would do. I would just lower my price, try to get my cost back maybe list it for $19.97 see what happens, see if that makes a difference and then just run it out for a couple of weeks and see what happens, see if you can get rid of them. If you can’t do that actually I would go to a place like Snag Shout and I would just list it there and I would do like a closed out sale. You’ve seen it all the time, you go into a store and it’s got a clearance section where you are clearing your inventory on that product and just get your cost back so just discount it at 30%,40%, 50% whatever you want just unload them and get your capital back. I’m almost sure that you’ll sell them through a deal site like that or go to Sleek Deals or any place like that. The other thing is too Chris which we didn’t talk about, the other thing that you could to try to just to get some sales coming through is reach out to a blogger or reach out to an Instagram page or an influencer in your space and see if they’d be willing to take your product and maybe do a contest for the people can win it but then people can also get a 25% off discount or something like that. [00:27:53] Scott: It really depends on how much work you want to put behind this to try to get this thing moving. I say there is not a huge amount of upside to doing that right now because number one your hard cost is high so unless you are going to get that way down that’s still going to be a challenge. Your selling price for this particular product I’m saying is probably between $20 and $25, that’s it. Again you get some momentum with that, it probably will depend a little bit on the season but not too much and then from there it’s just a matter of what do you want to do with this thing? Do you want to offload it and start over again, do a little reset get your capital back or do you want to try to launch the other color that’s selling better? Chris what’s your thoughts on maybe next move if you were in the situation? [00:28:42] Chris: Well the first thing that I would do is I don’t know that you are not going to sell at least a couple a day at this price point if you can get it positioned properly and you can get that listing cleaned up. The first thing Scott that sticks out to me that I would do because it’s kind of a set and forget thing is I would take a second look at the PPC here. Here’s just an overall screenshot of what’s going on. He’s got his initial campaign set up, his automatically suggested and then he has some scrapes, keywords that he’s got in the campaign. They’ve been running at this point for almost, at least when he sent us the screenshot it was about three weeks. I’m seeing a fairly what I would call low number of impressions. I believe you and I did an experiment because people were asking us what’s an average number of impressions that I should be looking at and we were able to get 5,000 impressions on a keyword on a single campaign in a day. It was a day and so that was like $2 per click. Now obviously it’s going to vary a little bit per market but what we see here is the top one is 60,000 total impressions, 88 clicks, $40 in spend and then the other campaign is 20,000 impressions. That was over almost a month long period so that to me is low and when I look at his cost per click it would be a great cost per click to have but my gut feeling is that he needs to raise his bid to at least a dollar. I don’t know what his bids are right now because we are not seeing that but I would make it at least a dollar just to try to get more impressions. Guys remember, when we are doing PPC there’s three things that we are looking for and we have to shoot for the thing that we don’t have right now. To get sales we have to have clicks, to get clicks we have to have impressions, so if we are just starting out we need to try to get as many impressions as we can. Once we get those impressions, if we are not getting clicks then we know what to fix. Same thing if we have clicks but no sales we know where the problem is and so we can start to focus down each of those lines. [00:30:43] Chris: When you are just starting out with PPC you want to bid a little higher maybe even than you think you have to on long term to get those impressions and then if your ACOS is high and your clicks and your sales are fine, then you can lower that bid and see where it works out to. For me I would raise this bid to at least $1 just to see if it’s going to increase the number of impressions because then we are maybe just going to trip and fall into some sales. Even if there are at what we would consider long term to be an accessible ACOS over the amount of profit that we make, even if it costs us ten dollars to sell one of these, that might be worth it right now because it’s going to start helping us get put into those organic listings. If we never make a sale we are never going to show up and we are never going to be able to take advantage of the real magic of Amazon which is those organic sales. We need to try to do that and PPC is the first way that I would do that after I fix the stuff that we talked about in the listing; tweak that title, tweak that bullets and then do that. Beyond that Scott and I want to agree and disagree with you on the external strategy. I actually think that with this kind of a product it may be beneficial. The reason that I say that is if you can do it without spending, without having to give away fifty of these, if you could give away one maybe some other things or you can get a blogger that’s in that space involved, they’re going to have an audience that’s passionate about this thing. And this particular product is something that if people are into this space, it’s probably something that they have or want. Even if you have to give them 20% off this price, at the $26 if you gave then a twenty percent off coupon you are still going to come out ahead and that’s going to boost your sales. It’s going to depend on the partnership and it’s going to depend on if they want to charge you to do it or not. If you can somebody to do it for free then it would probably going to be worth it. Does that make sense? [00:32:36] Scott: Yeah it makes sense I just want to know where you are agreeing and disagreeing. [00:32:39] Chris: You said maybe it makes sense but it doesn’t necessarily make sense to do it right now because you are not sure about what the price point is going to be and if it’s going to be profitable and if you want to spend all that time building a list to do that. My suggestion here would be you don’t have to build a list necessarily in this space. Reaching out to people with lists in this space they may be willing to promote it for because it is a cool product. It is a really cool product and if you are into this space, it’s something that you would want so if you can partner with somebody that already has a list in that space then I think it makes sense to at least try it and see if it works for us. [00:33:18] Scott: Yeah I mean really the only thing you are going to be out of your time. Anyone listening right now you guys should have that anyway. You should have the resources in place by you doing outreach. You should be looking for places where your audience is hanging out where you could reach out to those admin’s or people running those groups or pages or Instagram pages, Pinterest, whatever and really getting a massive list for all of these different places that you can go out and reach out. Then once you establish these connections now it’s just a matter of sending an email to them and saying, “Hey, I’ve got a new product,” or “I’m going to be doing another discount, I’d love to give it to your audience.” That’s an asset in itself for you to have this stuff done. Spend time doing that. Whether you are listening to this you don’t even need help with this right now, you should be doing this. I think they should be in your workflow. I think you should be doing at least an hour a week really just going out there and knowing where your market is going, maybe finding a new Instagram page that’s getting a lot of attention or Pinterest or YouTube or a blogger, whatever. Pay attention to it, make a little spreadsheet, your Google docs and just keep tracking that and then you’ll be surprised. Now you are going to have a huge asset to do or to use for something like this if you want to whether it’s this product or another product if you are in this market so I like that. I think this has been great guys. I love doing these things, I like to try to keep these at thirty minutes I know Chris and I went over because we generally do. We do have a hard schedule at the live events because we have to get through all of those in that one day period. You know Chris what I’m going to do because we’ve done quite a few of these hot seats on the podcast and we’ve got a few more we are going to be doing upcoming and we’ll be doing in the future, I’m going to create a special link that you can click on and go to. Then we’ll take all the hot seats that we’ve done in the past and we’ll put them on this one page on the blog. That will make it easier and if people just want to go through and listen or pick and choose what they want to listen to they can. [00:35:19] Scott: I know a lot of people love listening to the hot seats because it’s real, it’s like I’m a fly so definitely go check out theamazingseller.com/hotseat and we’ll make a link there that you can go to and then all of the hot seats they will be put there so you guys can just go there for easy access. So theamazingseller.com/hotseat and that will also be on the show notes page to this episode which is 324 so theamazingseller.com/324. Show notes will be there, transcripts will be there too so all of the goodies. Chris is there any last bits of advice or tips you’d like to give anyone that might be facing a challenge like this or maybe they launched and they are a little disappointed, any last words of advice? [00:36:05] Chris: I would say start from the beginning and a lot of times you guys if you just start from scratch and look at your listing and this is why I think these are powerful Scott because you and I have no context of this. We don’t know what he did to do all this research and if you can start with a fresh mindset and pretend that your listing is a competitor’s listing you guys might actually be able to find the same things that Scott and I looked at here like tweaking the title. If you can take a look at some competitor listings and see what they are doing, the top sellers, see what they are doing that maybe you missed or you thought you were doing but you actually aren’t. That’s where you are going to find a lot of these gold nuggets and a lot of these tweaks and a lot of these things that you can maybe test if you are already doing well. Maybe their title is structured differently, maybe their bullets really are benefits and not features and you thought you were writing them that way but when you read it from that step back you realize you haven’t. The real advice I guess is be objective in your own listing and see if you can find where some of these tweaks might be because even if you are already selling, you’re already selling well. There’s always room for improvement. [00:37:12] Scott: Yeah, always, always, always and again when you are doing your research, if you see someone that has some of these things that aren’t there as well that could be a good thing for you. If they are doing well and they are ranking well and you have ways to improve it that’s even better for you. Again all this stuff is a learning process and when you start to understand the different elements to it and you can go back and even retrace the steps of how you got to where you are and then start to look at the different components that are in place here and why this might be happening it can be very helpful and it will also help you in the next product or products that you end up researching and then sourcing and all that stuff. We’ve had many people tell us that their first and second products didn’t do that well and their third one did and a lot of time it’s because they have learned through that experience. I just want people to know that if you are in a situation like this maybe you just want to start over and get rid of this product you can always discount it really deeply and you can also do deal sites just to liquidate your product. I will say the images are great. So the images were great, they looked good to me so there is nothing there that I… And usually we can usually say to people improve your images. I guess the only thing I would say on there, I don’t think I looked at all the ones at the end, maybe add like a lifestyle photo to it. [00:38:37] Chris: That’s exactly what I was going to say. [00:38:40] Scott: Yeah I think lifestyle always makes people look at it and say, “Oh I can imagine myself using it or it reminds me of what it’s going to be like to use that product.” Lifestyle is always good to add in if you can, not in the main image. It’s usually on the secondary images. That’s it guys, that’s pretty much going to wrap it up. Like I said we never have a plan going into this other than we want to go out there and help and really do it live here this way here people can learn through this process and really think about the different things that we are going through and we are looking at high level and then we zoom in a little bit and then we are able to see where there are some holes maybe and then you guys can learn through that process. So Chris that is going to wrap it up brother I want to thank you for spending a little bit of time out of your morning and yeah it’s always fun chatting with you and I’m sure that we’ll be talking to you really soon. [00:40:09] Scott: Alright let’s do it. One, two, three. [00:40:13] Scott: and Chris: Take Action! [00:40:13] Scott: Have an awesome day guys we’ll see you right back here on the next episode. Hi, Thanks for the podcast, its very informative to listen to these once a day. I am a new seller and have a basic question. What is the best method/tool for monitoring your impressions and clicks? Hey Leo, for organic impressions or for PPC? I just read the transcript, and want to say a big thank you to you and Chris. Unlike Rafael, I invented my own product and I have not been getting any organic sales. I have run ads on Facebook linking it to my Amazon page, still no sales. Also I have run ads on Amazon, done FBA and still no conversion. The current ad is $10 daily budget and $0.40 per click. Would you be kind to look into my listing page and offer advice? Hey Toyin, just at a first glance, your main image is bland, doesn’t showcase the product well AND isn’t on a white background (which you’d want to change for sure!). You’re also going to want to update your title to make it more descriptive and improve your bulletpoints to make the more benefit and less feature driven. i just listened this podcast. It was great. My issue is picking the right color for my product. All the competitive products are brown, but i’ve searched on merchantwords and the brown product has 3000 searches and the green product 17.000 searches. On the first 10 pages you can find only 2 green products (on page 2 and 3), but they are not selling very well. The best seller are the brown products. Should i go also with the brown color, but it’s a higher competition? or should i choose the green color (because of the searches) and have less competition? Hey Alexandra, you can’t really depend on the search numbers, since Amazon doesn’t release those. The SALES numbers will tell you where the demand truly is! Got it 🙂 thank’s a lot. Alexandra if there is a brown and a blue one selling do the oder “999” trick on each one and see how many they sell. I just finished listening to this not 3 minutes ago. Thank you for all your advice! YES, I did make a mistake with the FBA fees – they are exactly $7.07. I will get on implementing all you’ve discussed as soon as I will get home from my 9 to 5.